This error occurs when importing bank information and the bank does not exist in The Raiser's Edge. 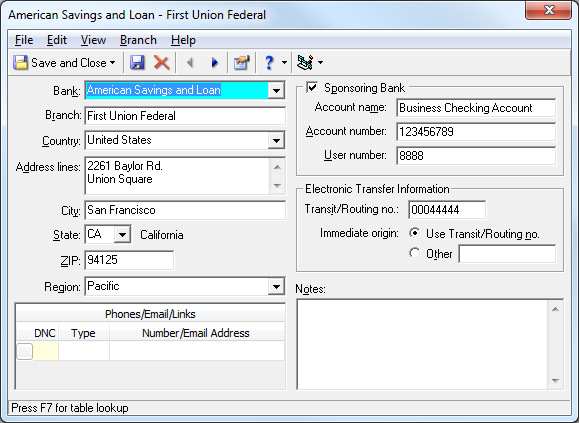 If the bank name, branch name or transit/routing number are different from an existing bank in RE, it is a different bank and must be added to the Banks table. ImportOmatic will add the bank to the table during import by checking Add bank to Banks table if it does not already exist in the General Settings area of the profile. If this is the same bank, add the branch and/or transit/routing number to the data file so that ImportOmatic can match to the existing bank. Please use the following link to locate the ImportOmatic User Guide for additional information.